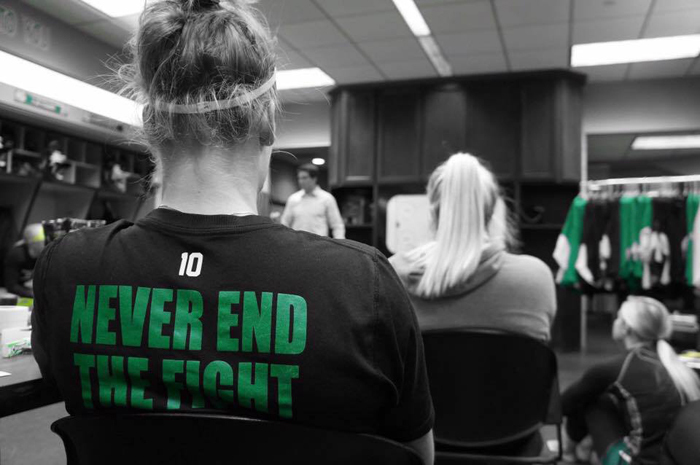 Protests have erupted in response to UND’s decision to cut the women’s hockey team and the men’s and women’s swimming and diving teams. 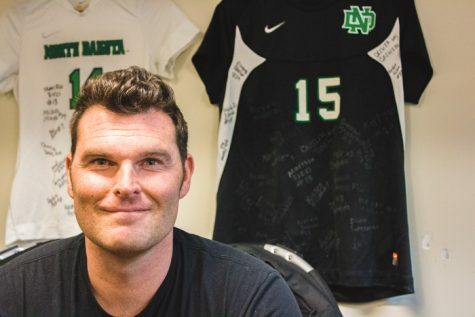 It’s almost been a month since UND Athletics Director Brian Faison announced that the women’s hockey team, as well as the men’s and women’s swimming and diving teams, would be cut at the university. 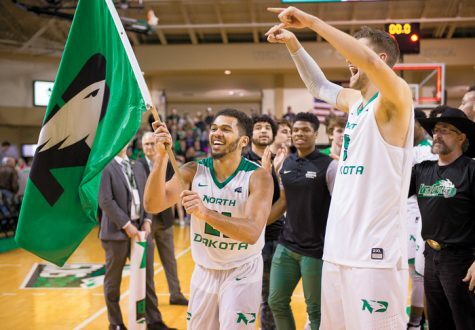 After taking time to gather my thoughts on the situation, one thing still hasn’t sat well with me and I cannot stay silent about it any longer, concerning a comment by UND President Mark Kennedy. “I have accepted the athletic director’s recommendation with the understanding that it provides for investing in championship teams in a balanced manner for both our women’s and men’s athletics programs” President Kennedy said. While I understand that President Kennedy’s intentions were likely not meant to degrade the freshly cut teams, I do find the statement naïve and mind-boggling, considering the teams have given UND championship success over the years. The fact that our President could come out and say this is about investing in championship teams just does not add up. While the women’s hockey team has not won a national championship, in the words of Jocelyne Lamoureux, they were well on their way. 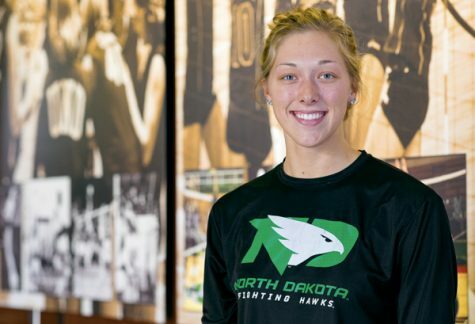 In fact, ever since Jocelyne and her twin sister Monique Lamoureux came to UND in 2010, UND has established itself as one of the premier women’s hockey programs and has attracted top recruits from around the world. 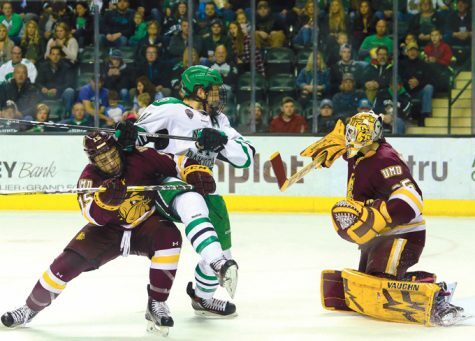 They also have had success during that stretch in a tough Western Collegiate Hockey Association (WCHA) conference, having never finished below fourth, as well as making at least the semi-final game in each conference tournament. Additionally, they have made two NCAA tournaments. Even more noteworthy, UND has produced nine Olympians, potentially 12 in the 2018 PyeongChang Olympics. 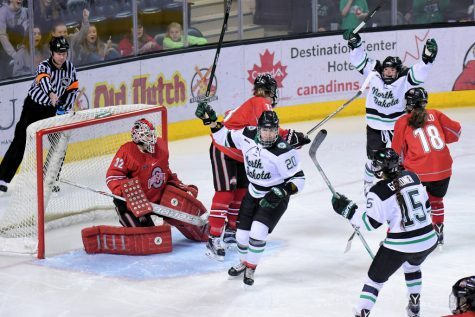 To add, the Lamoureux twins won a silver medal in the 2014 Sochi Olympics and recently, won a world championship for U.S.A. Hockey’s fourth straight world title, showing UND’s ability to develop world-class hockey players. If that is not championship success and a sign of things to come, I do not know what is. When looking at swimming and diving, the same could be said. 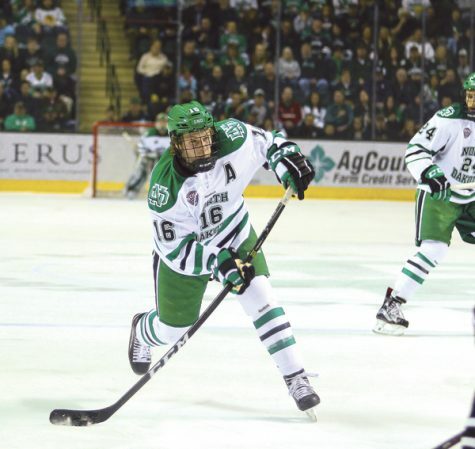 Historically, they have arguably had more championship success than any other sport at UND. As a Division II team, they won 23 consecutive North Central Conference championships from 1982 to 2004. Transitioning to Division I, they have not had the same level of success, but have shown great strides under coach Chris Maiello, including the women’s and men’s team combining for a 15-4 record last season. The swimmers also accomplished 132 lifetime bests, and divers Nick Benson and Mitch Raihle competed in the NCAA Zones and Jacob Wielinski almost became the school’s first NCAA Division I qualifier. Again, teams well on their way to championship success. I do understand that the cuts allow UND to keep investing into other programs that have produced championship success, namely women’s volleyball and basketball, as well as men’s hockey, basketball and football. Yet, let’s not pretend that the teams cut pave the way for more championships in men’s and women’s sports at UND because in reality, they provide less opportunity for that to happen. You see, these programs were on their way. 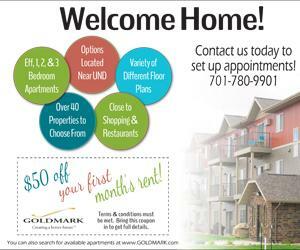 They provided greater opportunities to bring championships to UND. Instead, by cutting the programs, the University cost itself championship success, not invested into it. So, let’s call this for what it is, a money issue, because this has nothing to do with investing in championships, but everything to do with decreasing the budget. Yes, that’s obvious, but trying to sugar coat the obvious doesn’t win any fans. If the decision really factored in championships, this wouldn’t have been the outcome.